After the devastating rainfall, Karakoram Highway (KKH) remains blocked at multiple locations. 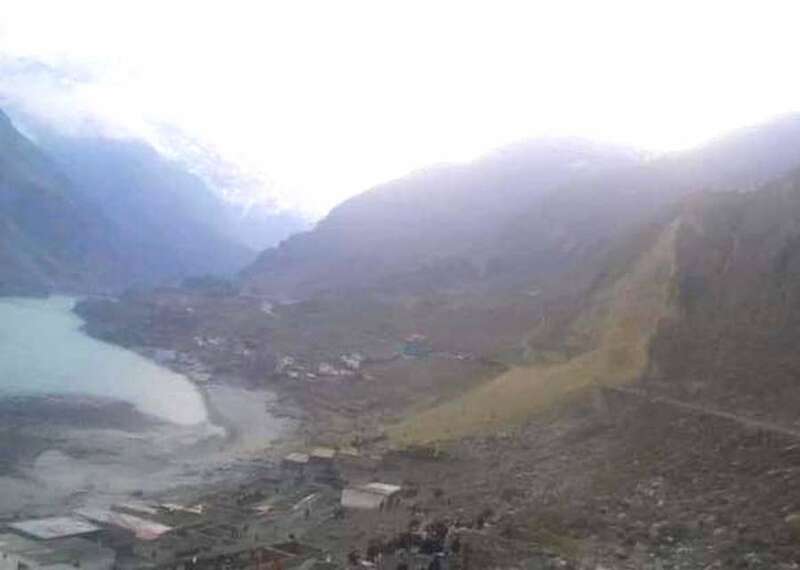 The blockade is spread across so many location from Khunjerab border to Chilas that the highway authorities have still not been able to open the roads for traffic. Road between Skardu and Gilgit, which is already in its worst condition, is also blocked at more than 3 dozen locations due to landsliding. Here are some photos shared by Facebook user Waheed Anwar that he took during his cycle tour on KKH. Gohar Abbas from Hunza district of Gilgit-Baltistan has been shortlisted for Foreign Press Association Media Awards 2018 for his story Heaven and Hell: ancient Silk Road barter trade continues. Gohar works for Agence France-Presse (AFP) in Islamabad. He has been shortlisted under the category “travel and tourism story of the year”. Gohar is competing against Fuchsia Dunlop of FT Weekend Magazine (Eating in North Korea) and Nicola Smith of The Daily Telegraph (Danger in Paradise). The winners of the Foreign Press Association Media Awards 2018 in all categories will be announced on 26th November. Another Pakistan correspondent and producer Asad Pabani Pakistan has been shortlisted for Thomson Foundation Young Journalist from the Developing World. He has covered stories like “The curious case of Youhanabad”, “Billion tree tsunami” and “President Weah appoints Attorney General with questionable integrity”. The Foreign Press Association Media Awards is regarded as the “Oscars of Journalism”. In an annual event, the association awards journalists, producers, documentary filmmakers and radio hosts in 13 categories. The Foreign Press Association also works to promote excellence in journalism. Gohar Abbas is the first journalist from Gilgit-Baltistan to be shortlisted for this award. He hails from Gojal, Upper Hunza and covers stories from Gilgit-Baltistan region.